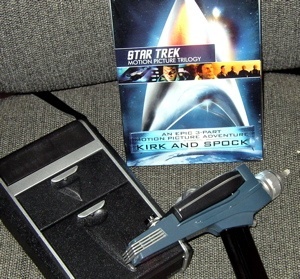 I got a DVD with all the best Trek movies, a science tricorder, and a season-one phaser. Set my reaction on stunned. Don't be jealous now.